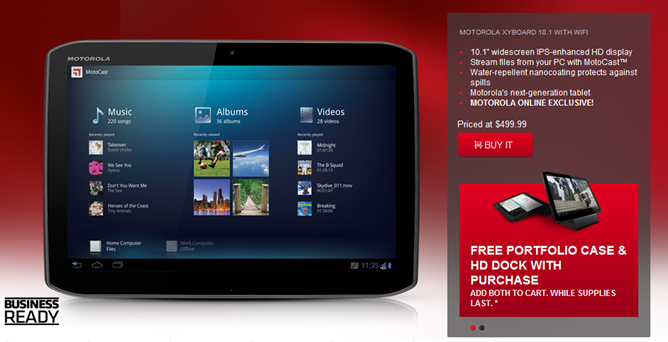 While Motorola tablets may not exactly be flying off the shelves, that hasn't stopped Motorola from trying everything they can to sell them. Occasionally they're even a pretty good deal! For example, right now you can get the 8.2" Xyboard with a free portfolio case (normally $39) and HD dock (normally $49) for $399. If 10.1" tablets are more your style, you can get the same deal on the larger model for $499. Both tablets are WiFi-only with 16GB of onboard storage. All the negative stigma attached to the Xoom aside, the Xyboard is a decent tablet. While it's only sporting a dual-core processor instead of the quad-cores inside tablets like the Transformer Prime, it still holds up pretty well for a tablet that effectively starts at about $310. 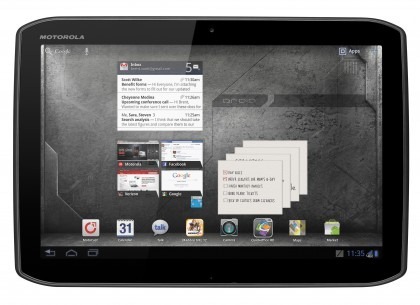 If the accessories are anything like their Xoom counterparts, they'll also be very well made. This offer is valid through February 29th, so if you want to wait and see if MWC will reveal anything particularly interesting, you've got a little time. Just don't miss it.